Two years ago, Deepali from United Nations University had played the Perspectivity Game at one of the open game sessions in London. By chance, Deepali connected back with Dharmesh to understand if the game would be suitable for an annual StEP E-Waste Academy conference organised by UNU. 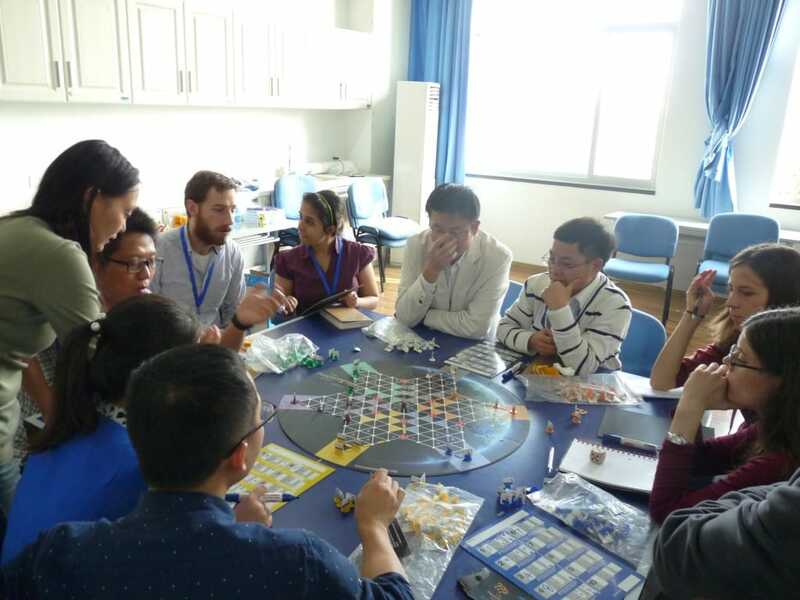 One thing led to another and Perspectivity was invited to facilitate the game session with the EWAS being organized by UNU in association with SSPU on the 2nd Nov 2014 in Shanghai. This conference aims to bring young researchers on E-waste together, to share research findings and develop further research potential and hence it was very unique in terms of the backgrounds of the 20 participants who had come from different countries. Jean and Anubhav facilitated the game at the 2 tables. After the explanation of introductory rules, the suspense could be seen on the faces of all the participants. Results announcement was an interesting sight as well. The highest scorer on the losing table was more confident of having won the game than the highest scorer on the winning table and stood up confidently to explain his victorious approach. During the reflection we got to see how the participants could relate to the learnings from the game and compare them with the challenges that they face in the field of electronic waste and how collaboration and looking at the bigger picture makes working in such a complex setting much simpler. The insights were very informative for the researchers and experts alike who were part of the conference. During the evening dinner, several referrals were made to the game and participants wanted to know how can they connect with Perspectivity, which made us believe that the session was successful. We would really like to thank Deepali, Claudia from UNU and everyone at the SSPU for having us to facilitate the game.